Fur Oil is a 100% natural essential oil blend designed for pubic hair and skin and works anywhere and everywhere such as underarms, beard, chest, legs, and head hair. 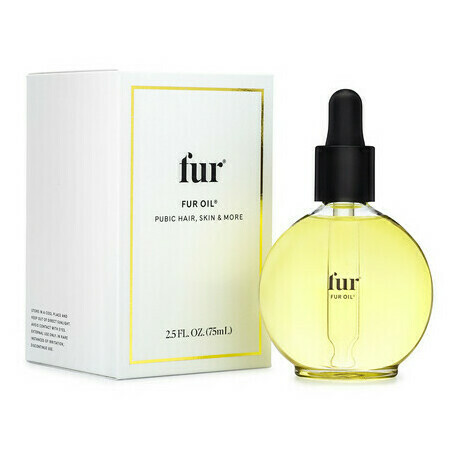 This product can be used on any amount of fur whether you decide to remove it all, keep it all, or any option in between. Dermatologically and gynaecologically tested. Cruelty Free, Gluten free and Vegan. Jojoba Oil, Lemon, Peppermint, Tea Tree Oil. Use right after hair removal treatments and daily on clean hair and skin. Makes my skin nice and soft!